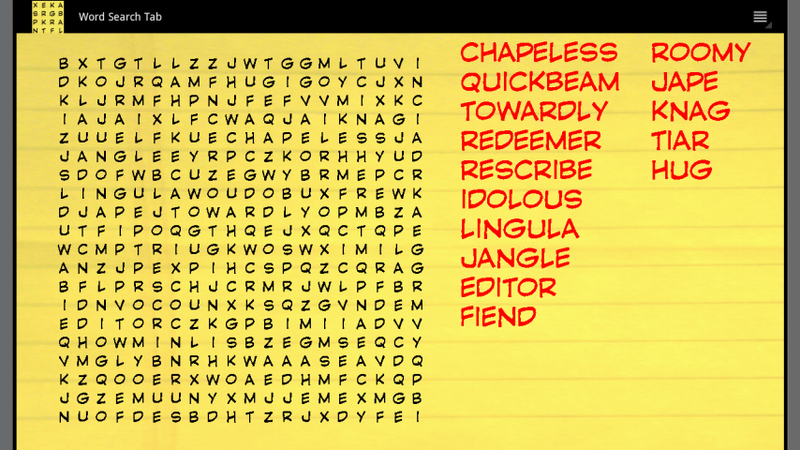 New Game Word Search Tab Released! 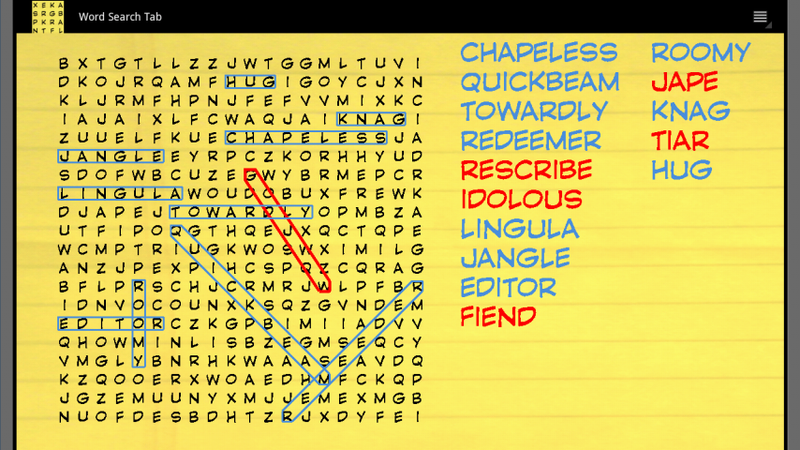 Word Search Tab is a tablet optimized word search game. Try and complete an unlimited number of puzzles. With over 65,000 words you will never play the same word search puzzle twice. Want a challenge? Try the timed word search game play option that pits you against the clock. See if you can find all the words in less than 60 seconds. Each word found gives you more time on the clock. 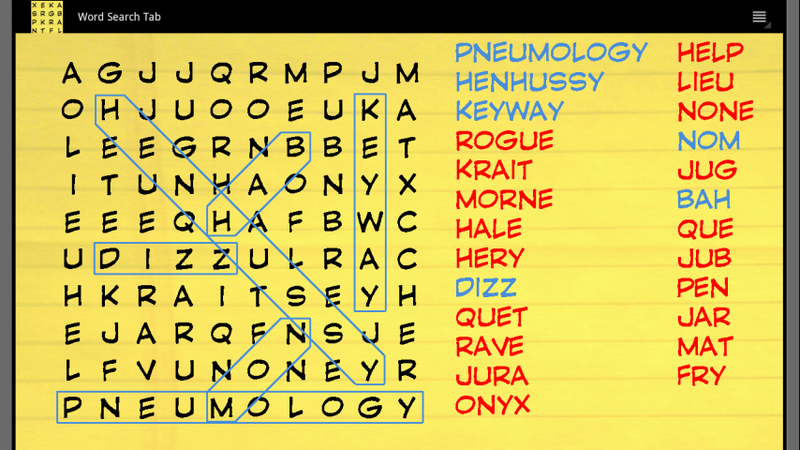 3 different puzzle sizes available, along with 3 different word list sizes, are available in the game. Customize the game’s background and text colors. Optimized for tablets running the Honeycomb version of Android.